Don’t we all enjoy nature’s beauty and how we wish that pollution wouldn’t destroy nature as much? That something would repair all this damage caused to the nature by pollution? Well I feel the same way about my natural beauty as well. With so many chemical products we use, we cause damage to our skin. With so much travelling and use of make-up for shoots, my skin does not get the care it needs to rejuvenate. 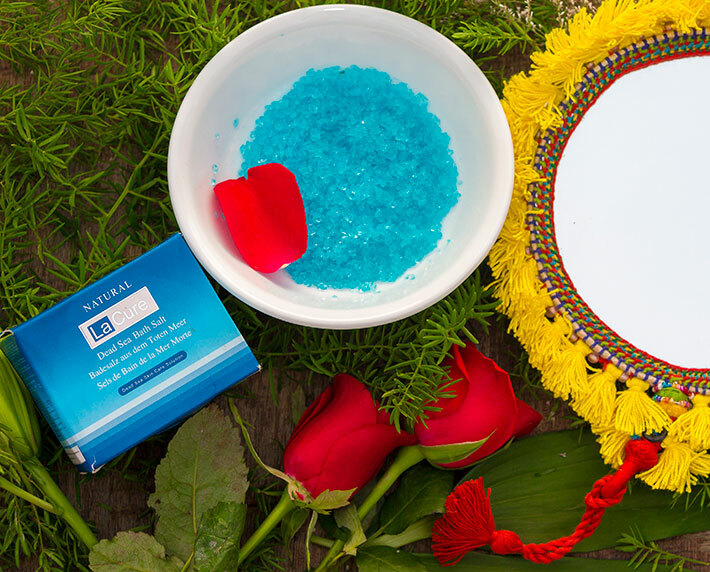 So I decided to incorporate products to my regular beauty regime that will not only reduce the use of chemicals, but also help in repairing the damage that has been caused. 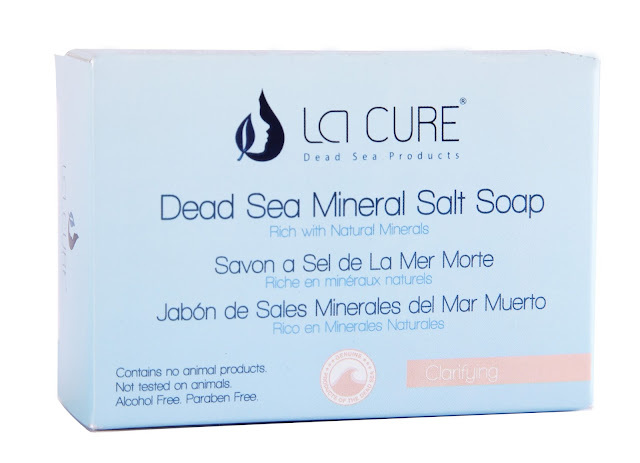 La Cure offers a range of beauty products that are literally “organic food” for the skin. 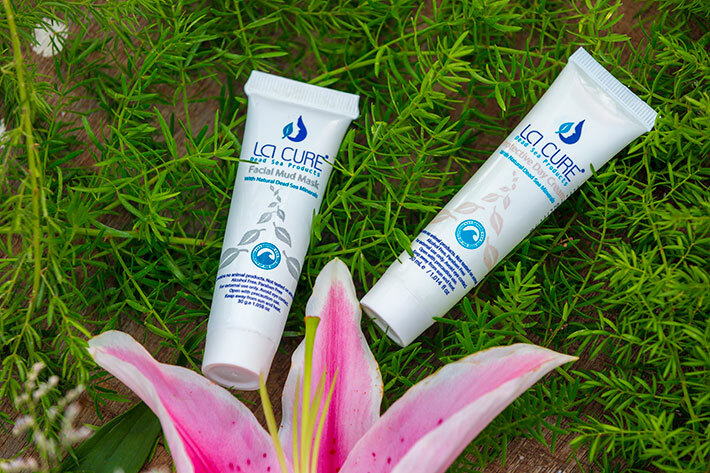 La Cure products use a range of natural ingredients such as Vitamin E, Aloe Vera, Chamomile, Apple & Carrot Extracts, Lavender Oil and Eucalyptus Oil. These ingredients help removing toxins that are caused to your skin and hair due to make up and pollution respectively. These work wonderfully well when used all together. You can feel an instant change in your skin and hair. They feel cleaner and healthier than before. 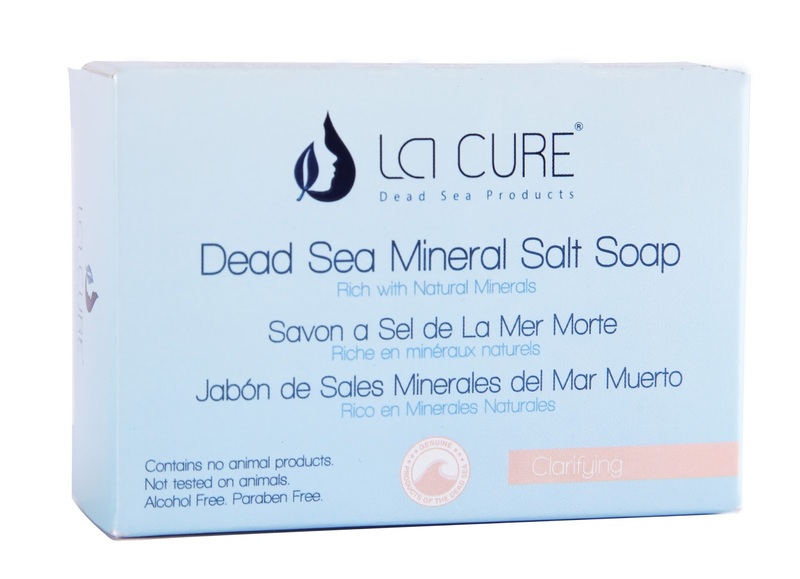 Step 1- Wash your face with the La Cure mineral salt soap. For best results leave it on for 2 minutes. Step 2- Mix 1 teaspoon of La Cure bath salt in 15 -20 ml water. Mix till all granules dissolve in water. Then pat this mixture on skin with cotton wool. (It has to be patted and not wiped all over). Do not apply around or on eyes. The mixture flows so be careful not to get it in eyes. Put the whole mixture on face patting with wool. Finally let it dry and keep it on for 20 minutes. As it dry’s you will see water vanishes and you have oil and salt on skin, after 20 minutes wash your face with Luke Warm water. This salt mixture causes a bit of a tingling and slight burning feeling while on skin but not to worry its normal (After washing your skin instantly feels moisturized and smooth, tight.) Bath salt is to be used once a week. Step 3- Shake the La Cure mud mask tube, apply mud mask on your face. A very thin layer is to be applied; it should be a thin layer that covers skin. Not very thick like other packs. Leave it on for 20 minutes and wash with luke warm water. Do not exceed the time. The mud mask has the natural smell of sea. A 30 ml mud mask tube goes on for 4-5 applications as very thin layer is applied. Step 4- If you are doing this in morning then apply Protective Day cream, take pea size amount put little dots all over face and spread into skin gently till absorbed. Day cream protects against sun and UV rays. 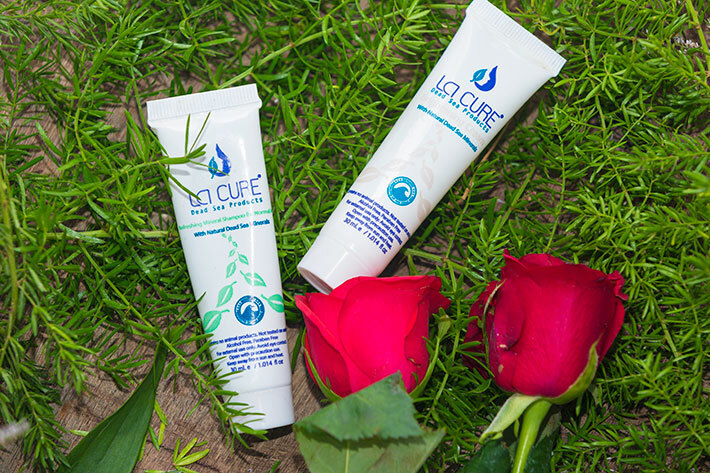 La Cure protective day cream can be used as a base for your makeup. Step 5- If you are doing the face treatment at night then after mask apply Brightening cream. Again pea size amount and put little dots and spread on skin. A 30 ml brightening cream can last you about 3-4 weeks as very thin layer is applied. * *** IMPORTANT- Brightening cream is to be applied only at night and should be washed off with La Cure soap first thing in the morning when you wake up. **** The salt and mud mask is to be applied only once a week. The creams can be used everyday Protective day cream in morning and Brightening cream at night only. If you have any skin problems such as acne, psoriasis, eczema etc these creams can be used to treat them. The time and usage of these creams will then vary. 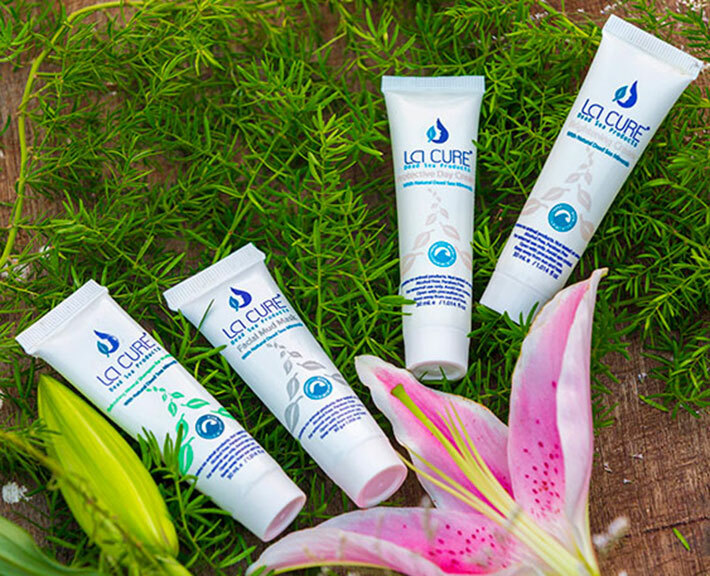 Redeem your skin and restore your natural beauty with La Cure products. These products can be used by men, women and even children.